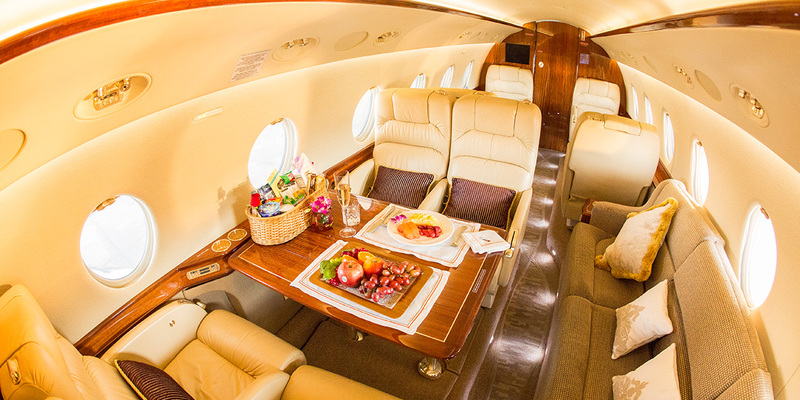 ALL OUR FLIGHTS ARE CATERED WITH VIP CATERING AND ON BOARD SERVICES. ANY SPECIAL REQUEST FOR ALL KINDS OF FOOD CAN BE REQUESTED BEFOREHAND. ALCOHOLIC AND NON-ALCOHOLIC BEVERAGES SUCH AS JUICES, FINE TEA/COFFEE. SELECTIONS OF PREMIUM DRINK AND MENU CAN BE REQUESTED WITH ADDITIONAL CHARGES. SPECIAL REQUEST ON YOUR PREFERRED CHOICE OF MUSIC, MOVIES, MAGAZINES, OR NEWSPAPERS CAN BE MADE AT TIME OF RESERVATION. YOUR SMALL BELOVED PET IS WELCOME ON THE AIRCRAFT. PLEASE SPECIFY AT TIME OF RESERVATION, CERTAIN RESTRICTIONS AND CONDITIONS FROM DEPARTURE AND ARRIVAL COUNTRIES MAY APPLY. IT IS ADVISABLE TO CARRY WITH YOUR PET CERTIFICATE OF ORIGIN AND/OR HISTORY OF VACCINATION RECORD. ALL ADVANCE AVIATION JET FLIGHTS ARE NON-SMOKING. ADVANCE JET PRIDES ITSELF BEING THE ULTIMATE VIP SERVICE PROVIDER. FROM THE MOMENT THAT OUR HOST GREETS YOU TILL THE MISSION IS COMPLETED, THE AIRCRAFT IS ENTIRELY YOURS! ALL DETAILS WILL BE TAKEN CARE OF AND WELL-COORDINATED TO ENSURE SMOOTHEST JOURNEY; NOT ONLY WHILE YOU ARE IN THE SKY BUT DURING THOSE TRANSITIONS PRIOR AND AFTER YOUR FLIGHT. FOR INTERNATIONAL ARRIVAL AT DON MUANG INTERNATIONAL AIRPORT IN THAILAND, YOU ARE GENUINELY WELCOME BY OUR HOST WITH PERSONALIZED SERVICE; ESCORTING YOU DIRECTLY FROM THE AIRCRAFT TO THE FBO FACILITIES FOR PRIVATE C.I.Q. CHECK, WHEREBY YOUR LUGGAGE AND OTHER BELONGING WILL BE HANDLED IN A SAFEST AND SECURE MANNER OR YOU MAY OPT TO BE USHERED DIRECTLY TO YOUR LIMOUSINE SERVICE. INCOMING OR OUTGOING FLIGHTS THROUGH SUVARNNABHUMI INTERNATIONAL AIRPORT CAN ALSO BE ARRANGED TO SUIT YOUR TRAVEL REQUIREMENT. Also to ensure that all transition at all airports are well taken care at highest quality, Advance Aviation had formed a Joint Venture with world renowned Ground Handling and Trip Support service provider, Universal Weather And Aviation Inc. of Houston, USA. 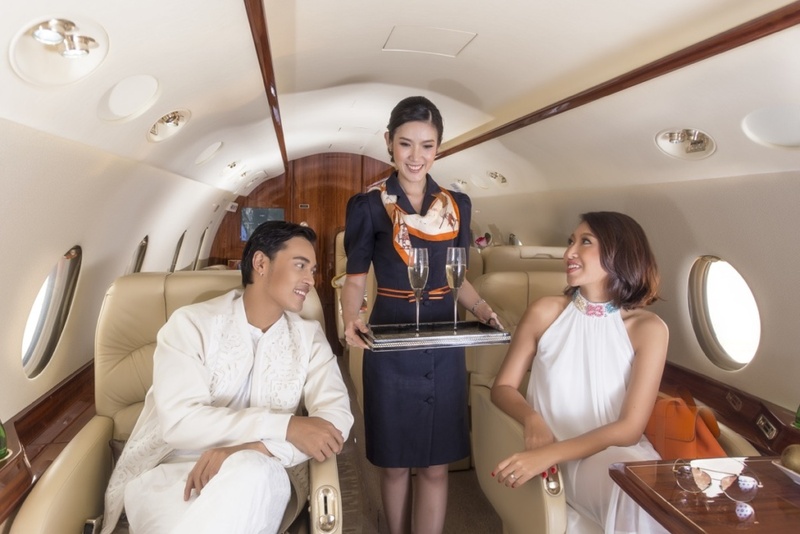 Advance Aviation always work hand in hand with Universal Aviation (Thailand) on almost all our flights when possible. To learn more about Universal ground handling and trip support, please visit https://www.universalaviation.aero/ground-support-locations/thailand/bangkok/VTBD/.